Mrs. Garnett N. Leeper 92, a resident of Trenton, Mo. died Saturday night, Jan. 26, 2019 at 10:28 P.M. at Sunnyview Nursing Home, Trenton. Funeral services will be held Tuesday, Jan. 29, 2019 at 11:00 A.M. at Resthaven Mortuary , Trenton. Burial will be in Resthaven Memorial Gardens North of Trenton. There is no scheduled family visitation at the mortuary. Mrs. Leeper was born Oct. 2, 1926 at Half Rock, Mo. the daughter of William R. and Mary Orpha Holloway Thomas. She attended No Creek School north of Galt and Trenton School. She was employed as telephone operator before retiring. 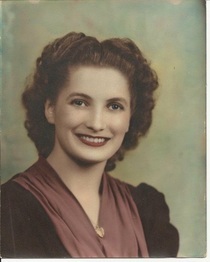 On Nov. 21, 1948 she was married to Truman Leeper at Trenton. He preceded her in death on Oct. 19, 1981. Her survivors include one daughter Connie Dale and husband Jerry, Brookfield, MO. One son Rick Leeper and wife Tammy, Branson,MO. Three grandchildren, Fourteen Great Grandchildren, and Eleven Great Great Grandchildren. One sister Phyllis Wimer, Broken Arrow, Okla.
She was preceded in death by her parents, two sisters Wilda Harris, Kathryn Baugher and five brothers Billy Thomas, Jackie Thomas, Don Thomas, Roy Thomas, and Richard Holloway. Memorials to: Sunnyview Nursing Home in Mrs. Leeper’s Memory.